Biofreeze knows the passion of Rip City feels no limits and wants to give you a chance to meet Damian Lillard on April 10th! Enter today and check out some behind the scenes footage from the "Overcome" video shoot. 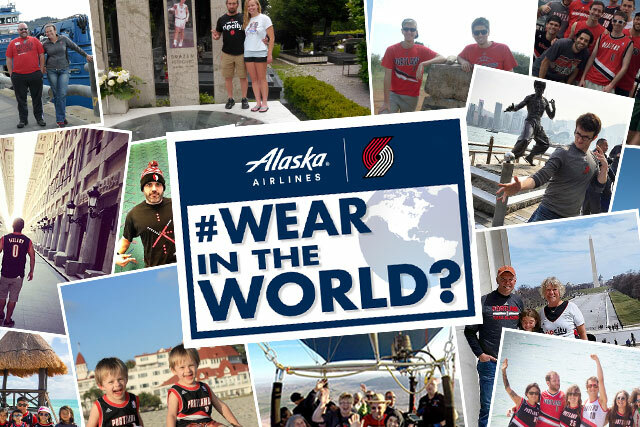 Show us your Trail Blazers pride during your travels around the world for your chance to win MVP status and 100,000 Mileage Plan Miles! Think you can sink a half-court shot in front of 20,000 screaming Trail Blazers fans? Enter here for your chance to make the Toyota Half-Court Shot and drive off in a new Toyota. Enter now for your chance to win Trail Blazers game tickets and a chance to meet Jusuf Nurkic! Test your Trail Blazers knowledge by taking the CenturyLink Trivia Challenge, and enter for a chance to win two tickets to an upcoming game at the Moda Center. Improve the way you move on and off the court with the Bowflex LateralX. Enter for a chance to win tickets to an upcoming Blazers game AND a brand new Bowflex! Enter now for your chance to win a prize estimated to reach up to $50,000. Every Trail Blazers rebound this season increase the cash prize. Each month fans vote on the top play of that month for a chance to win an autographed Trail Blazers jersey!